Oh yes, thank you for passing by Cathy. To me it looks like a picture of the woods from childhood’s Enid Blyton. An intriguing idea, five friends and the mysterious treasure of the old blacksmith … take care. The premise is a real functioning medieval blacksmith opened sometimes for craft demonstrations in the warmer touristic seasons. Here some legacies of the past to be seen near the entrance of the building. No real museum, but a nice hobby. Where was this taken? Intriguing! 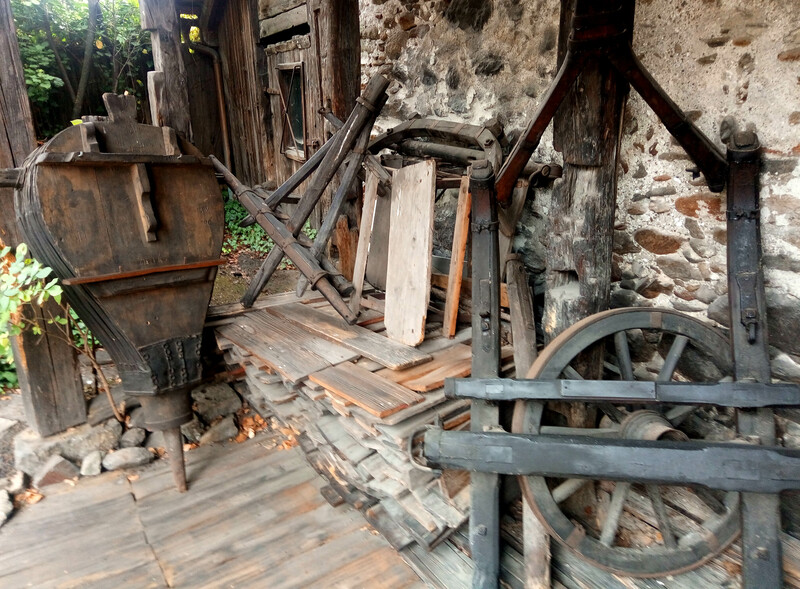 Thank you, this is a view on the frontside of a medieval, still functioning blacksmith in the city of Lienz, Austria. This really draws one in.. Nice going.